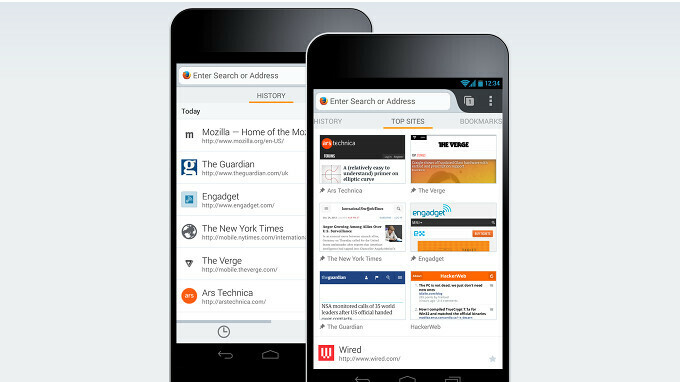 Two months after the release of Firefox 58 on Android devices, Mozilla is pushing out yet another major version of the mobile browser. The new iteration brings a couple of new features, as well as bug fixes and improvements. The most important seems to be the ability to use Firefox for Android as an Assist App, which will allow users to start a search by long-pressing the home button. In order to take advantage of the new feature, you must head to Settings / Apps & Notifications / Advanced / Default apps / Assist & voice input / Firefox. Additionally, Mozilla included support for HLS (HTTP Live Streaming) playback for much better compatibility with video sites. As far as other changes go, it appears that the “about” page was removed, so you'll now have to use the “About Firefox” dialog instead. Also, you can now lock video full screen in landscape mode. The official changelog mentions that Firefox Private Browsing Mode will now remove path information from referrers sent to third parties in order to prevent third-party data leakage. Finally, various security fixes have been implemented too. No ad-blocker support, no deal! @maxha97. Wow, didn't know you can have add-ons. Thanx for the tip. Android Firefox is still pretty slow though, compared to Samsung and Chrome. I've got an ad blocker running in my Firefox, as an Add-on. Firefox is the slowest browser I’ve used on android. I want to use it, I like everything else about it, but can’t get over the jittery and heavy scrolling and slow loading. It’s been like that for years so I’m not holding my breath on it getting fixed. you must have been living under rock.. Since Quantum, Firefox is, at minimal, as fast as Chrome. In fact it's my default Android browser. What? I have various android phone from Moto G to OnePlus 5t. Firefox is extremely laggy while scrolling and loading compared to anything chromium based. Chrome is extremely smooth. I tried Firefox again when “quantum” first got released, and several updates after that. Quantum didn’t do squat, it’s just as slow as it’s ever been. You must be using a low budget phone if you can’t tell the difference. If you want firefox & no-adds... Just install the firefox focus apps.